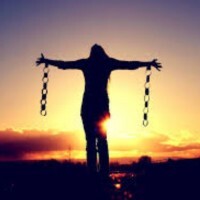 In the beginning I never thought that the chains would come, and at the end I never thought that they would go. No one ever told me it would be like this, that my dreams would turn to ashes and come to bury my soul. The Orthodox world that I see today is nothing like the way of life that I was taught to love. I thought of devotion and fulfillment, of kindness and trust, of give and take, of right and wrong, but I came to see deception and falsehood, cruelty and dishonesty, commands and consequences. I didn’t think that I was meant to live a life of sadness, that I was meant to stand still and quiet when I finally realized that nothing was going to change and that every day would just bring more of the same.